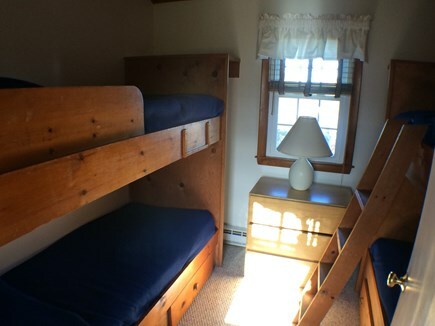 Bunk room. 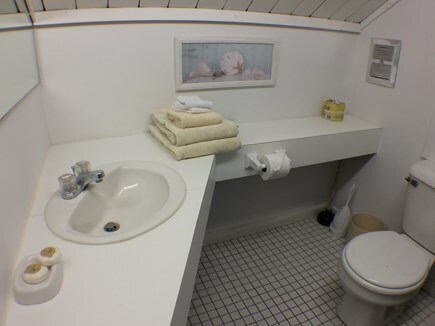 The kids love it! 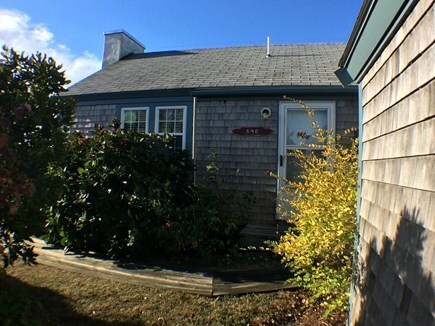 Single level beach cottage with all of the amenities and a private beach nearby. 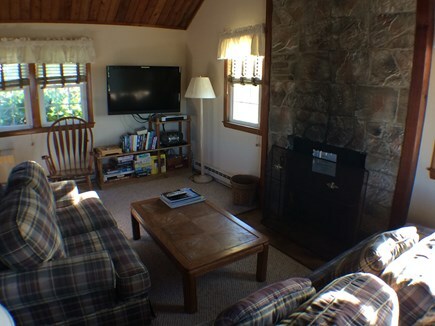 With 3 bedrooms and 2 baths this well equipped cottage has plenty of room. 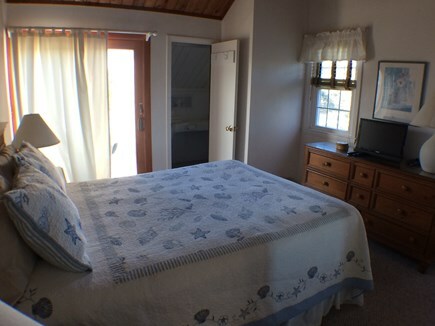 The master bedroom has a queen bed and master bath with shower. 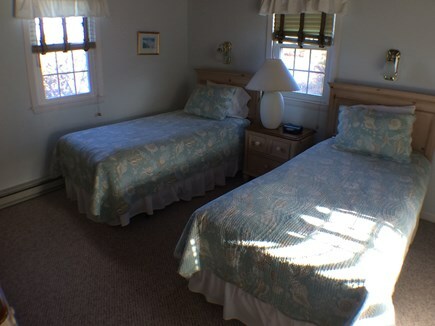 The second room has two twin beds, and the third room has two sets of bunk beds. 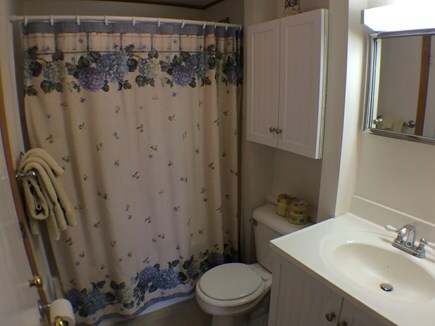 The hall bath has a tub/shower as well as a washer and dryer. 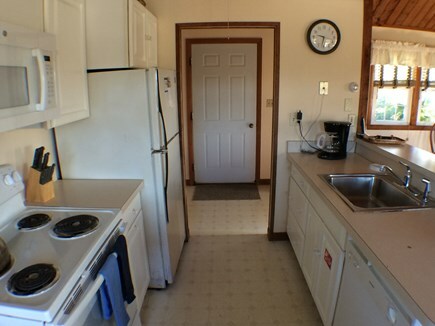 Other amenities include: Cable TV, DVD/VCR, a CD player and wireless internet. 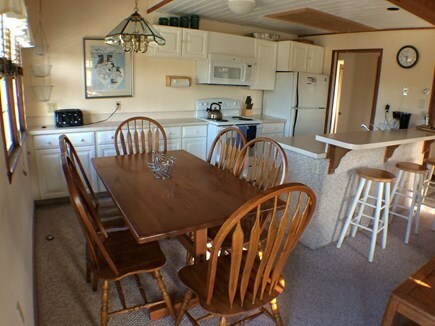 The yard is spacious yard with a wonderful deck, charcoal grill and outdoor shower. 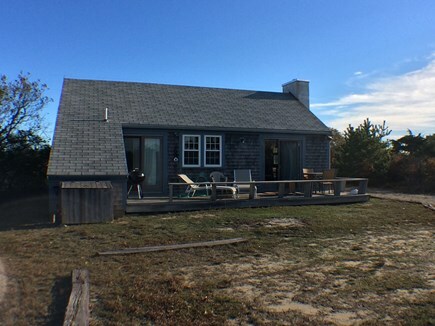 Madaket is the place to be for swimming, surfing, biking and for watching beautiful sunsets, and the cottage location is close to the Madaket bus line and bike path. 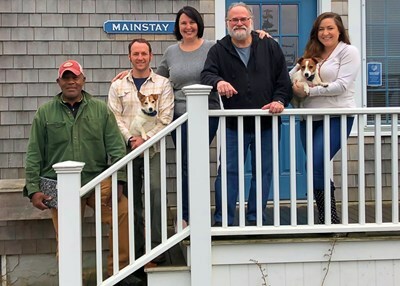 Mainstay, Inc is a property management company on Nantucket providing vacation rentals in Madaket for over 30 years - with more than 60 properties under our management we are sure to have something to suit your needs.